They say that hell hath no fury like a woman scorned. That certainly is what one would say in regards to the Queen of the Relentless Corpse clan in the Wandering Heroes of Ogre Gate RPG by Bedrock Games. 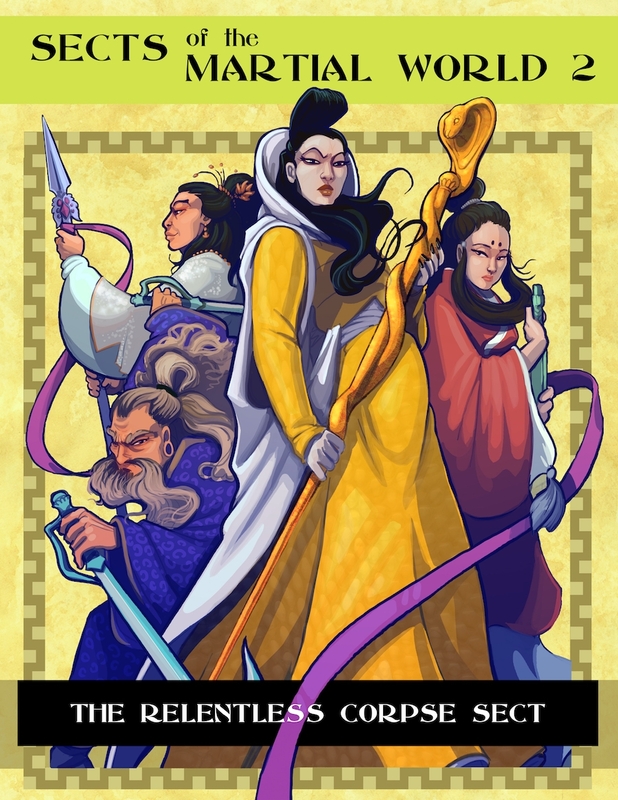 Once a sect revered for its righteousness and martial prowess, it is now one of the most feared, as the Queen, along with her sister and sister's husband, look to hunt down those that killed the Queen's father and stole his River Flowing Sword. This new sourcebook adds in stats for the Relentless Corpse Sect. It includes numerous new poisons the that the clan uses, as well as weapons designed to be used along with them, plus Kung Fu styles. The pdf file is available now.